“It's indescribably moving to learn in a final author's note that survivors hesitant to speak on the record for Tinderbox came forward with urgency after the Pulse massacre. Their testimonies, Fieseler's rigorous research and his amiable prose make this a vital, inspiring volume in the annals of gay history.” — Dave Wheeler, Shelf Awareness, "Best Books of the Year"
“Fieseler's work is an essential piece of historical restitution that takes us from 1973 to 2003, when homosexuality was finally decriminalized in Louisiana. 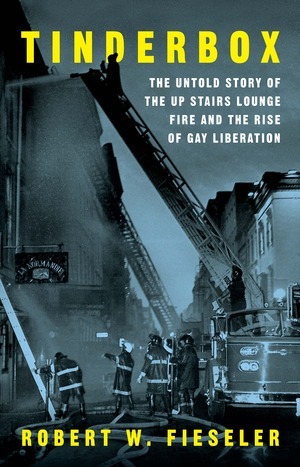 Powerfully written and consistently engaging, the book will hopefully shed more light on the gay community's incredible and tragic journey to equality. A momentous work of sociological and civil rights history.” — Kirkus Reviews, "Best Books of the Year"